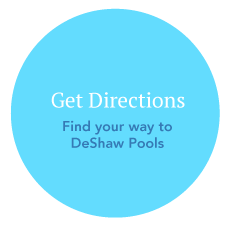 Since 1984, DeShaw Pools has offered our clients throughout the Lower Mainland, Vancouver Island and beyond a comprehensive range of services for their pools, from initial construction to regular maintenance. Our goal is to ensure your satisfaction by working closely with you to determine your needs and deliver exactly what you want, including having a new pool built to your specifications, upgrading your pool, or even maintaining and repairing your pool or spa. We take pride in our work, and invite you to browse our online project gallery to see some examples of the projects we have completed in the past. You can also read what our satisfied clients have to say about us. In addition to offering excellent customer service, we are also a fully insured company covered by the Workers' Compensation Board, ensuring peace of mind for our clients. If you'd like to get started with our services, or to learn more, contact us today.